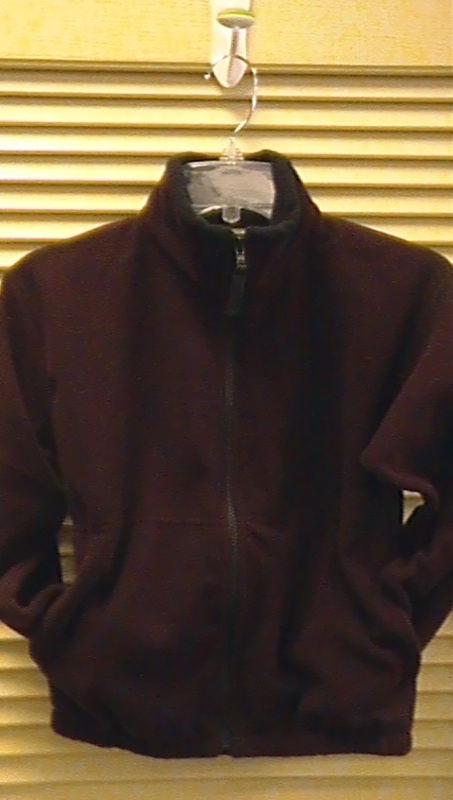 100% polyester plush fleece jacket in burgundy with school logo. Full-zip front, 2 pockets on seam; no pil finish. Embroidered items are not returnable or exchangable.